Nothing brings you closer to a culture than the finest culinary dishes. Tasting authentic flavors allow people to eat like a local without being one. Nicaragua has some of the most delectable cuisines in the world. With Caribbean influence, Nicaraguan dishes transcend the country’s coastlines. Food trucks, diners, drive-ins, and hole-in-the-wall dives offer true flavors of Nicaragua. In fact, most upscale restaurants use home-grown ingredients to wow natives and tourists. Looking to savor some diverse culinary delicacies? Keep reading. If you want to taste the best samples of Nicaraguan food, start with these five dishes. Not your usual rice and beans, Nicaraguans eat Gallo Pinto as part of three square meals. They enjoy the flavor of fried red beans, rice, and onions for breakfast, lunch, and dinner. Gallo Pinto gets its unique flavor from coconut oil and coconut milk. After the beans go through the boiling process, they’re joined in a pan with rice and onions. Natives fry the mix up in coconut oil with a dash of left-over bean water. To add depth, a bit of coconut milk gets added to make the dish creamy. If you’re a fan of Mexican cuisine, you’ll appreciate the flavors in nacatamales. They’re tamales with a Nicaraguan spin. They start with a corn dough. Then the flavors layer as the dough’s stuffed with potato, pork, tomatoes, peppers and onions, and spices. Nacatamales raise the flavor content by adding chiles, raisins, green peppers and olives. Each bite brings you closer to the distinct taste in Nicaraguan cuisine. You’ll never look at a bag of potato chips the same once you have a plate full of tajadas. Tajadas are plantains sliced thin on a vertical or horizontal slant then fried. Plantains have a natural sweetness. So the light blanket of salt takes the flavor into the direction of a potato chip, without the potato. Like tajadas, tostones start from plantains. But they’re green and haven’t yet ripened. To bring out their unique taste, locals pound green plantains. They then slice and deep fry them as you would a meat product. This process bleeds out the savory flavor in tostones, contrasting the sweetness in tajadas. If you prefer Creole cuisine, you’ll fall in love with Rondon. On the Atlantic coast of Nicaragua, Creole-inspired cooking is the solution for large households. One-pot dishes are preferable selections for natives in this region. Rondon is that iconic one-pot dish. Usual one-pot meals consist of a vegetable, meat, and a starch. Then you season to flavor. Rondon takes this theory to the next level. Lobster, shrimp, fish, and a cadre of seafood takes a dive into the pot. The dish levels up with root vegetables—potatoes, yucca, plantains, carrots, and peppers. They rest in a soup base started from fish stock and sweet coconut milk. Additional spices join the pot to create that southern, Creole taste. For a more gamey flavor, turtle, beef, or pork gets added to the mix. Authentic Nicaraguan food dishes are local to the country itself. Everywhere you turn a vast selection of regional dishes are available for tasting. Pop open a bag of tajadas or sit down in front of a plate of tostones. To enjoy the flavor of the culture, dip a spoon into some Creole-inspired goodness. At any rate, take time to taste Nicaragua. 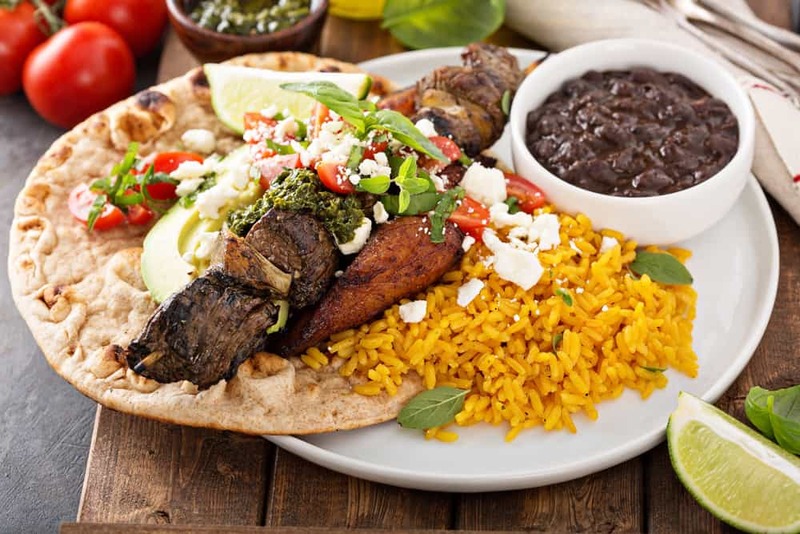 Check out our Latin selections to discover the amazing flavors of Latin foods.